Reel Whore: Triple Team'd: Baru-chel-Shocked! I didn't fall for it nearly as much as some, but I'm a bit surprised by the "Second Run" rating for Dragon - it was good fun, well-made, with more than a dash of humor and some gorgeous CGInematography (I think I just coined that term - woohoo!). Vaguely interested to see Apprentice just to see Cage ham it up, and I must admit that the effects look pretty cool. Loved the line about Ferguson and Butler in the recording studio. Sir, it's brilliant write-ups like this that make this website awesome. Agreed on all accounts regarding SHE'S OUT OF MY LEAGUE and SORCERER'S APPRENTICE, but I don't necessarily think the CG was 'mediocre'. If any 2010 animated film gets that mantle, it sure as hell better be SHREK, the encapsulation of mediocre. Nice new word there, Fletch. Yes! I was worried no one would ever sift through this to get to that Butler/Ferguson line! I can sleep happy now. @Fletch & Andy: I was a bit too hard on the CG, too. I didn't mean mediocre as much as quality by today's standards, not ground-breaking, but solid. I had a rmabling way of saying that in my original draft, but then switched it to "mediocre". I chose poorly. @Andy: Thanks! Ugh, Shrek. Why won't that franchise die already? Out of the 3, How to Train Your Dragon. @film-book: Definitely the best of the 3. @Everyone: FYI, I re-evaluated my ranking for Dragon and bumped it up a few notches. It now brings up the rear of my Matinee rankings instead of being a mid-range Second Run Seats. Nice reviews! I did see "She's Out of my League" - it was a decent movie and entertaining. 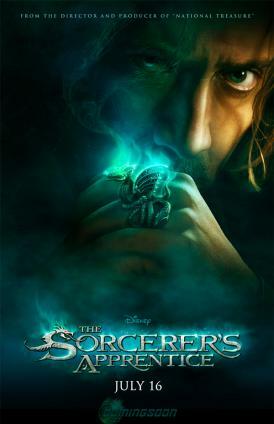 I've been thinking about "Sorcerer's Apprentice" and have not seen "How to Train Your Dragon" yet. I enjoyed reading the write-ups, thanks for sharing! @Film Gurl: Thanks! 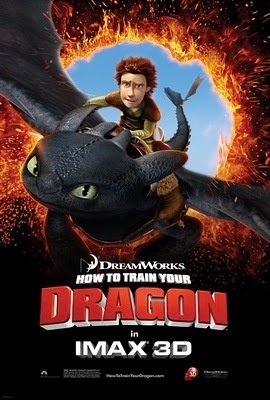 You should definitely check out How to Train Your Dragon. Apprentice is worth killing time by the TV one lazy afternoon. Just saw this in your quarterly review section. I am a big fan of 'How to Train Your Dragon' and thought it was Pixar-esque in it's ability to be funny and lighhearted yet still evoke true emotion through its extremely well done characters and CGI. It was a welcome surprise after non-Pixar dreck like Shrek 4 and stuff like Robots. It's worth a revisit if you ask me. @Jeff: My wife never saw it so I'm sure I'll watch Dragon again. I haven't seen Shrek 4, but there's a ton of animated films better than Robots.